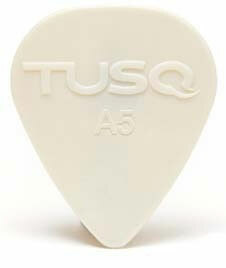 I tried TUSQ pick after being dissatisfied with the standard tortoise shell plastic ones. They are made of a harder plastic than the Dunlop Tortex picks . I like the brighter sound and the crisper way they strike the strings. I will get them again. for me the best size is .8 mm or the 1 mm size.